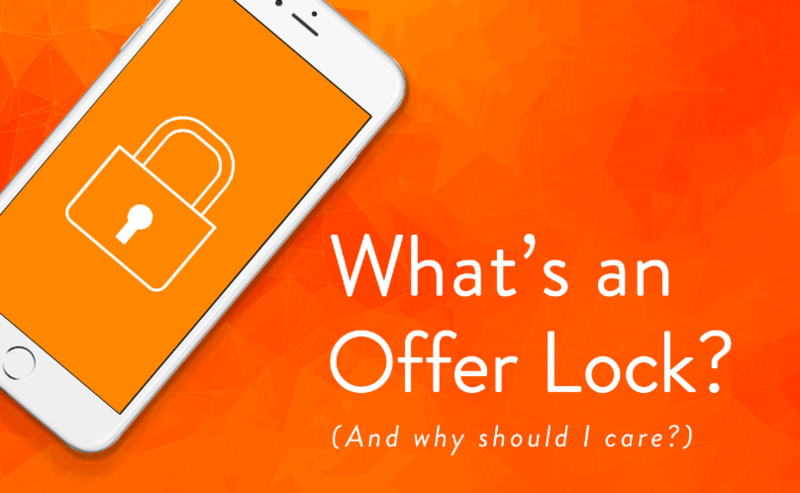 Gazelle The Horn > Apple News > What’s an Offer Lock? At Gazelle, we know phones. It’s best to understand that all phones depreciate in value over time, whether it’s an unused device taking up space or a recent iPhone you’re looking to upgrade. The minute your device leaves it’s original box, it decreases in value and continues to do so. It drops even more drastically around the launch of a new model, which is why Gazelle’s Offer Lock program is the risk-free answer to getting the most for your phone during the next Apple iPhone launch this September. An offer lock is your ticket to a confident purchase. We make an offer on your device that’s guaranteed for 30 days, meaning it’s a set value with zero risk. As long as your device remains in the same condition, this offer is yours to consider no matter how much the phone may depreciate in market terms over those 30 days. It’s reliable, easily created in minutes online and can put more money back into your wallet. Why is now the prime time to take advantage of an offer lock? The long-awaited iPhone launch season is upon us, meaning there’s new and improved models coming to the market. What most may not know is that the trade-in value of their current phone will most likely drop by 10-20% after the release of the new iPhone. Even the latest iPhone 7 may decrease as much as $100 in value after the release, the normal amount that Apple lowers their own sticker price. During this iPhone season, we’ll be extending the time period for our offer lock. You’ll have maximum flexibility and control as you can hold onto your phone until the release of the iPhone 7S and iPhone 8. By hopping online, creating a locked-in offer and successfully trading in your phone by the extended deadline, you’ll be getting the best return while owning the latest and greatest from Apple. It’s a risk-free win. The extended offer lock event begins September 5th, 2017 and runs until September 22nd, 2017, the period in which you create your offer online. You will have up until October 22nd, 2017 to successfully send in your phone. Don’t let your phone lose any more value. Take advantage of Gazelle’s offer lock this iPhone season.